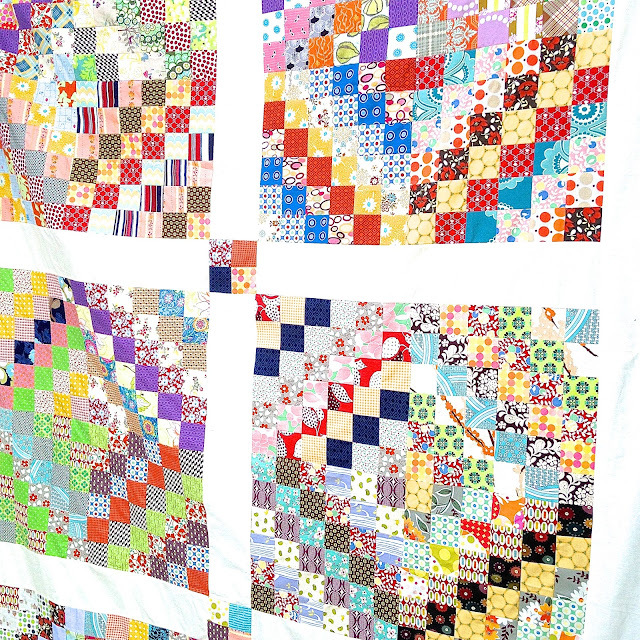 Were you part of the Scrappy Trip Around the World quilt craze that happened about three years ago? It may have been two years, it is all a blur now. 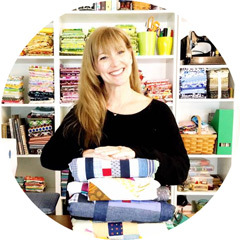 The free tutorial is by Bonnie Hunter from Quiltville and is available here! I made mine completely scrappy. It was more like Blue is Bleu's Vomit Quiltwith just everything! The people of the house would walk through the sewing studio, look at it while it was in progress and comment that it was "just too busy." Whatever that means! To appease them, I broke it up and made it a little less busy. The colors are still fabulous! I love the craziness of all of the different fabrics together! There are three and a half weeks until school is back in session. My wish is to make another Scrappy Trip Around the World Quilt when they are back in school. This time I would like to plan it out more beforehand. Oh yes I was part of the craze and the blocks are languishing as a UFO. Love what you have done here Kim and maybe I need to go looking and finish these blocks into a top. I definitely joined in. I remember clearly 'drinking the kool-aid' (in January 2013) and also ended up with a crazy mess of colour! Mine was raffled at our school fair and is well loved, I believe! I look forward to seeing your 'controlled' one come together! I love it all...great job! !